MOSCOW (AP) — A group of Russian lawmakers asked the Kremlin Wednesday to review the nation’s rules for the use of nuclear weapons, amid tensions with the West. Participants in the hearings organized by the upper house’s defense committee suggested that the presidential Security Council should draft a new version of the nuclear doctrine. The lawmakers said in their proposals cited by Russian news agencies that the revised doctrine should in particular spell out a response to an attack on Russia with hypersonic and other strategic non-nuclear weapons. The state RIA Novosti news agency quoted an upper house member, Franz Klintsevich, as saying that the proposal to review the nuclear doctrine had been driven by the deployment of NATO forces closer to Russia’s borders. “All that is aimed at threatening Russia,” he said. 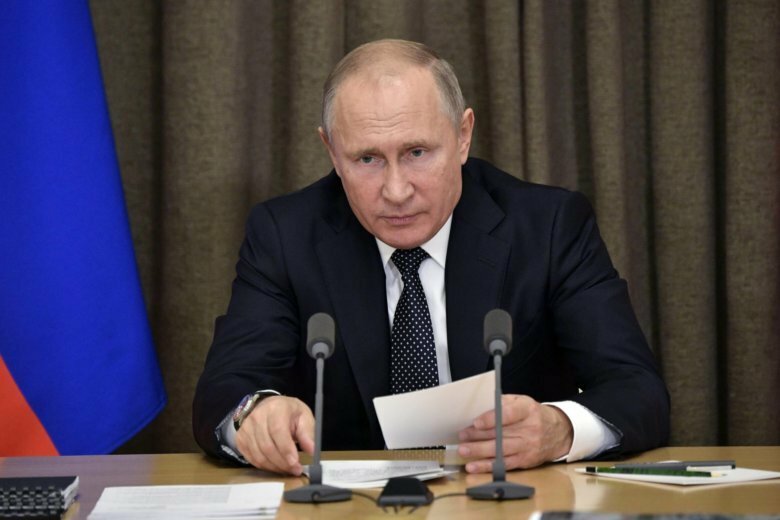 Earlier this week, Russian President Vladimir Putin chaired a meeting with military officials to discuss a response to the planned U.S. withdrawal from the 1987 Intermediate-Range Nuclear Forces Treaty.